With our IT Technician Traineeship you are guaranteed a role in IT (£18-£30K) or your money back. Are you looking for industry recognised IT training that lead to a guaranteed job earning £18K-£30K per annum. We are so confident you will be offered a role at the end of the training, that’s if for any reason you were not, we will refund 100% of your course fees back to you. Our simple 3 step process makes starting a career in IT easy and achievable in as little as 3 weeks. Firstly you will be going through a 100-120 hour online training period where you will be studying the CompTIA A+, CompTIA Network+, Cisco CCENT, MCSA Window 7, 8 & 10. The courses are delivered online via video lectures, they will be available 24/7 so you can study through the training at your own pace. You can study this part around your current work and social commitments. During this step you will be learning the invaluable theory required to move onto step 2. Our cutting edge live lab will give you the practical hands-on training that you will require from the comfort of your own home. Live-Lab is real computer equipment networked together and conveniently accessible over the internet. Our hosted platforms are configured to imitate real world configurations by providing sufficient hardware not only to carry out tasks, but also test the impact of those changes. From the browser you gain administrative access to the relevant devices giving you complete control to carry out either your own configurations or follow the lab guides to configure specific technologies that are required for the relevant CompTIA exams. You will finally be prepared for the official CompTIA A+ Certifications. We will firstly release extensive mock tests for you to practice on and once you are ready we will book your official exams. 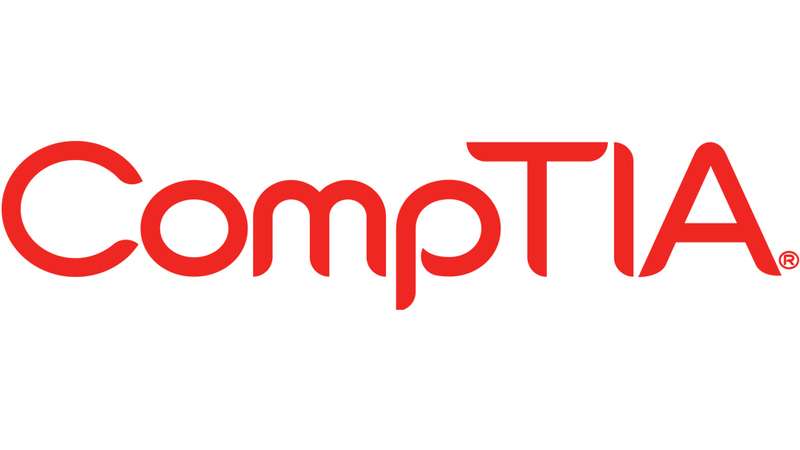 CompTIA are international leaders in IT certifications and having the CompTIA A+ will not only qualify you as an IT Technician in the UK but across the globe. 90 Minutes per exam, maximum of 90 questions per exam. Our IT Technician Job Guarantee Programme is designed for individuals that wish to pursue a career in the IT industry. Whether you are looking for a complete career change or a university graduate, we will be able to help. We appreciate that every candidate has a different background and different level of skillset in IT, and this is exactly why we will design a custom package that is realistic and suitable to both the needs of our candidates and industry demand. Our blended learning solution can get you into an IT technician role in as little as 3 weeks. How can you offer job guarantees? We have partnerships with some of the biggest IT technical companies in the UK who understand that our IT traineeship in the future if entry level IT recruitment. Therefore we only advertise these job adverts in areas where we know we can place candidates with our partner companies. How does the money back job guarantee work? Our money back job guarantee is written in your terms and conditions that if we do not find you a new job in IT upon completion of the training we will refund 100% of your course fees back to you. Yes all of our training has been fully accredited by CompTIA, Cisco & Microsoft. When can I start the training? As soon as you are ready to take your first step into a new career in IT we can get you registered and started within 2-4 hours. How quick will I start my new job after completing the training? The average amount of time is normally 1-3 weeks before you will be starting in your new role. Can I study around my current job? Yes the majority of our students are working full time so you can study around your current commitments, which is why we give you a full 12 months for peace of mind. If you are not placed in an IT technician role upon completion of your training you will receive 100% of your course fees back within 5-10 working days. Is there any possibilities to pay for a course in installments? If I purchased the course now would I need to start straight away or can I do it in my own time? You get 1 years access to the training so you can study at your own pace within that 1 year. Most candidates complete it within 3 months fairly easily.